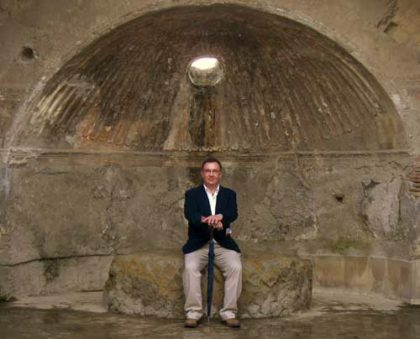 Barry teaches and gives master classes at studios and colleges all over the world, including regular courses at the National Film and Television School and the National Film School of Italy and is often on festival juries, judging or curating screenings. As a guest lecturer and Honorary Doctor at Staffordshire University, he gives master classes, acts as an advisor to staff on animation courses and has worked with students on a film based around Benjamin Britten’s musical composition The Young Person’s Guide to the Orchestra. Barry is also an Honorary Fellow at the University of Central Lancashire where he is a regular visiting lecturer. Barry has also provided the voice over for many student animation films and is also is in demand for hosting awards evenings and after dinner speaking. In the last few years Barry has given workshops all round the UK as well as in Italy, France, Poland, Morocco, Russia, Ireland, Canada, Germany, Czech, Estonia, Brazil, Greece and Argentina. Barry has also taught ‘Writing for Performance’ at Manchester University, where he was originally a drama student, and was invited back to teach Animation to the drama department. Barry’s films are discussed at length in many books, including those written by Ray Harryhausen, Clare Kitson and Paul Wells, as well as being studied on most animation courses. 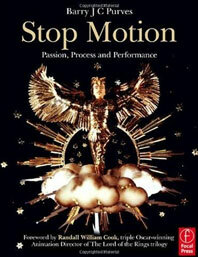 Barry’s book looks at the skills required to develop as a creative stop-motion animator or articulated puppet maker. It explores how all the elements of film-making camera work, design, colour, lighting, editing, music and storytelling come together in this unique art form. 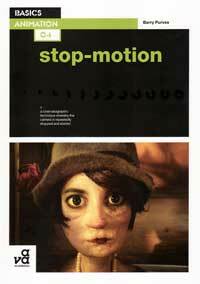 The book shows how to use and exploit the particular types of movement, characters and stories that characterise stopmotion. The book is packed with tips and suggestions to help get the most from stopmotion, accompanied by full-colour illustrations and case studies demonstrating how film-making masters through the years have used it in feature films, short films and TV series. Basics Animation: Stop-motion also examines the evolution of stopmotion, from its almost accidental beginnings to a much-loved form of storytelling in its own right one that continues to push boundaries after 110 years. Barry’s honest insight into the creative process of making stopmotion animations, using his own classic films to illustrate every step along the way. With Barry’s enthusiasm for puppets in all their many guises and in-depth interviews from some of the world’s other leading practitioners, there is advice, inspiration and entertainment galore in this publication. Many of the artists and craftsmen interviewed have contributed their own specially drawn illustrations – showing their inspirations, heroes and passion for their craft. These beautiful images help make the book a truly personal journey into the heart of the animation industry with broad appeal for anyone with a love of animation. The potential of puppets and models with personal insight from some of the world’s most experienced stop motion animators. Advice on everything from the initial concept, to scriptwriting and costume through to directing, animating and post-production. Behind the scenes with beautiful colour illustrations and production shots that bring the process to life. Barry’s own play, written with Emil Wolk, ‘The Eighth Wonder’ looks at the making of the original King Kong through the eyes of Ginger Rogers and Fay Wray. A second play treatment, Handel and Lewis, has been written for Liverpool Scenic Workshops – this involves a young opera loving boy and a live 25 foot robot. Several other feature film treatments and play ideas are being written.